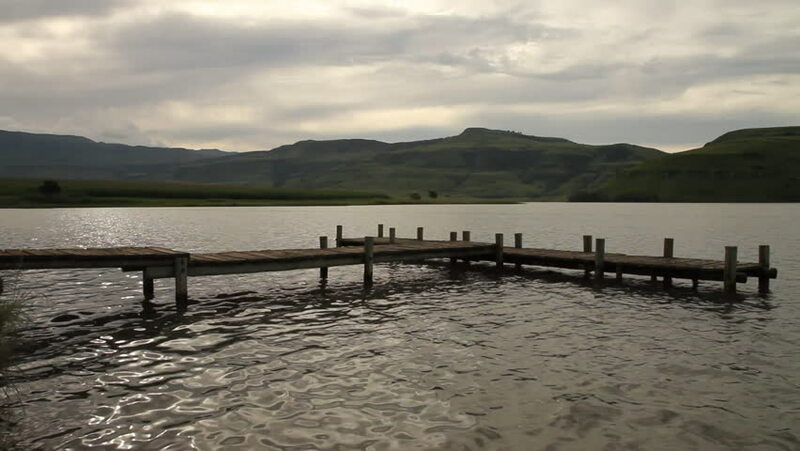 Water gently lapping against the jetty in Bell Park Dam, which is located close to Cathedral Peak in the Drakensberg Mountains, South Africa. hd00:45Lonely woman walks out along a jetty over a beautiful lake at sunset. Her dog joins her as she sits down to contemplate. 4k00:13Timelapse over Bukit Mertajam Hill view from Mengkuang Dam with plant grow in the water nearby rock. 4k00:19PHI PHI ISLAND. THAILAND - CIRCA FEB 2015: Motorized wooden canoes. lined up along a sandy beach at Sunset on Phi Phi Island in Thailand. Southeast Asia.